I'll cut to the conclusion immediately: Leverage's new album 'Blind Fire' is terrific! Last year's 'Tides' was one of the best album's of 2007; it simply blew me away. Often, the sophomore jinx hides in the shadows waiting to derail a group's second effort. Leverage, thankfully, kept this nightmare at bay, and easily so. The strength and determination of this sextet is to be applauded. These are tight songs with exceptional arrangements and brilliant musicianship. 'Blind Fire' is everything I hoped for a second effort from Leverage. Frankly, there is so much talent in this band that it's damn scary. Pekka Heino has got to be one of the best melodic vocalist on the planet. There is no weakness or inconsistency in his delivery whatsoever. And guitarist, Tuomas Heikkinen, raises the bar in the melodic rock and metal genre once again. His effort is simply mesmerizing and beautiful. As for the rest of the band: this is band that performs as a well-oiled machine, executing their craft with precision and enthusiasm. Did I say this a terrific album; I believe I did! I was completely caught off guard with the opening track, 'Shadow In The Rain.' Sure, this is great melodic rock but there are strong hints of progressive elements in it as well. Every song is strong, and I could comment on every one (and I must just may). Allow me to hit my favorites. 'Stormchild' is an excellent number with a mellow keyboard intro that leads to a full blown melodic hard rock arrangement. Here, Mr. Heino excels with clear and sincere vocals. And Marko Niskala is to be commended for his atmospheric addition to the arrangement. 'Sentenced' is a moving number simply because of its strong lyrics. This is song of passion and strength, and the guitar solo kills! I like 'Hellhorn' simply because it sounds more like melodic metal than anything else. 'Mr. Universe' may be the best track on the album. Here the whole band participates fully with great skill. Kudos to drummer Valtteri Revonkorpi. 'Don't Touch The Sun' has such an exquisite guitar introduction defying expectations. Again, Heino brings smooth vocals that complete the impressive arrangement. The final track, 'Learn To Live,' is similar in composition but reigns more as a ballad. The combination of Heino and Heikkinen is simply astonishing. 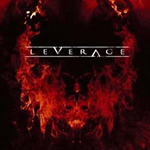 Leverage is a force to be reckoned with in the melodic rock/metal genre. 'Blind Fire' is a superior second release; many will try to attain to its high level of accomplishment, professionalism, and musicianship. But, I'm afraid very few will succeed. This is an excellent album worthy of your consideration: consider it the best of the best. Highly recommended! Leverage's 'Blind Fire,' the follow up to 2007's 'Tides,' hits the mark once again. This is some of the finest melodic hard rock and metal you will find on the planet. Every song is a winner and simply proves that this sextet is a major force to be reckoned with in their genre.